Act Two of the 12-year-old New Horizons mission to Pluto and the solar system’s icy Kuiper Belt is heating up, with less than a month to go before NASA’s piano-sized spacecraft makes history’s farthest-out close encounter with a celestial object. 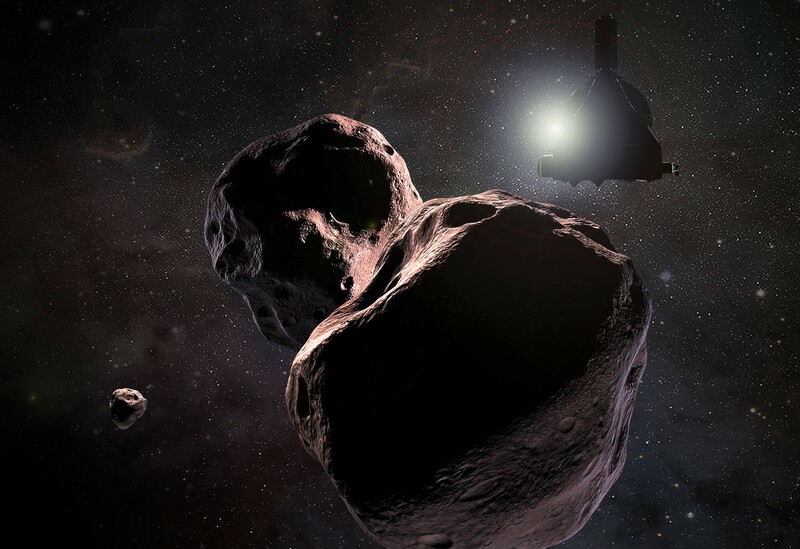 The New Year’s flyby of a mysterious Kuiper Belt object (or objects) known as Ultima Thule (UL-ti-ma THOO-lee) follows up on the mission’s first act, which hit a climax three years ago with a history-making flyby of Pluto. Launched in 2006, New Horizons was never meant to be a one-shot deal. Even before the Pluto flyby, mission managers used the Hubble Space Telescope to identify its next quarry, a billion miles farther out in the Kuiper Belt. Now it’s crunch time for New Horizons principal investigator Alan Stern and his team. This entry was posted in GeekWire and tagged 2014 MU69, Kuiper Belt, NASA, New Horizons, Space, Ultima Thule. Bookmark the permalink.